Several people have asked about interfacing the 2011 OEM camera to an aftermarket HU, as well as connecting an aftermarket camera to the OEM CP635U1 HU. Hopefully we can determine how the OEM camera works so we can answer those questions. (Subaru Part No. 86201SC630, Clarion Model No. PF-3302B-A). This has a 4.3" color screen, used to display a rear camera image (as well as showing expanded info for radio, satellite, MP3s, and iPod). As you can see, the wires run straight between the HU and the camera. There are no connections to anything else in the car. That means the HU provides power for the camera. 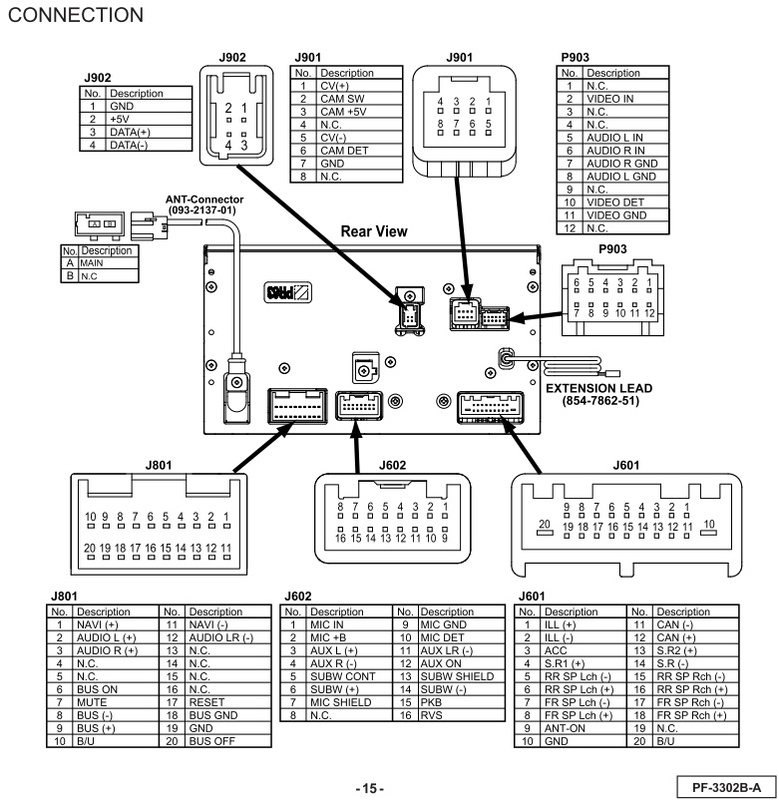 Link to Subaru's installation instructions (pdf) for the H001SSC700 camera kit. All work is performed at the tailgate. There is a pre-installed factory harness that runs up to the HU. This Clarion CP635U1 HU uses the same style of 8-pin socket as the OEM Kenwood Navi HU (the one with the full-size touchscreen, found in some 2009-2011 Foresters and 2008-2011 Imprezas). (with pin 5 connected to a braided shield that surrounds the pin 1, 3, and 6 leads). 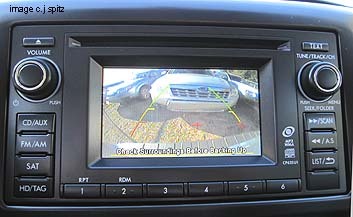 2012 non-nav models with the camera use the same 8-pin plug and wire colors. On both 2011 and 2012, all of the wire colors change near the camera. 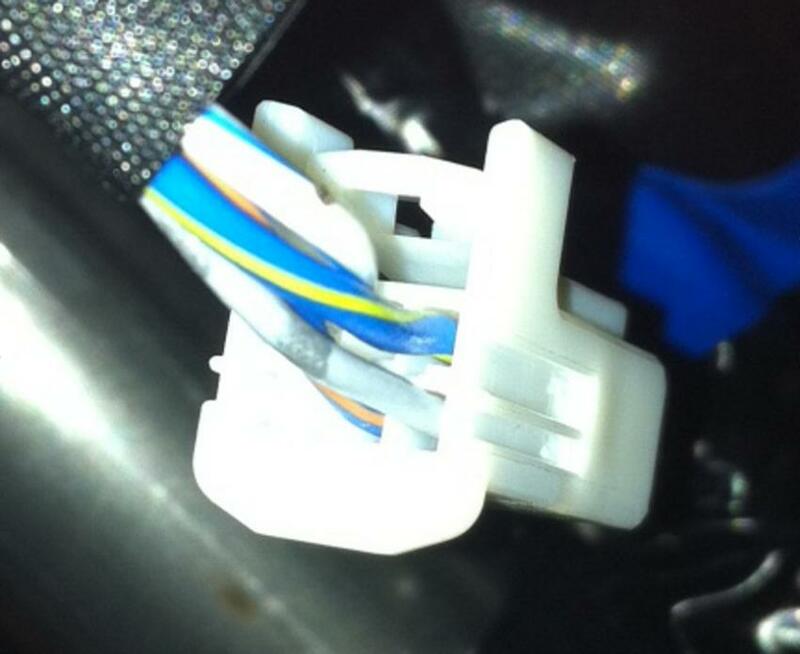 (there is no factory harness, hence no wire colors). Grounding the 'Camera detect' pin tells the HU that a camera is connected. A European Legacy owner sent me the service manual for an older (~2008) EUDM Legacy/Outback OEM Kenwood Navi. 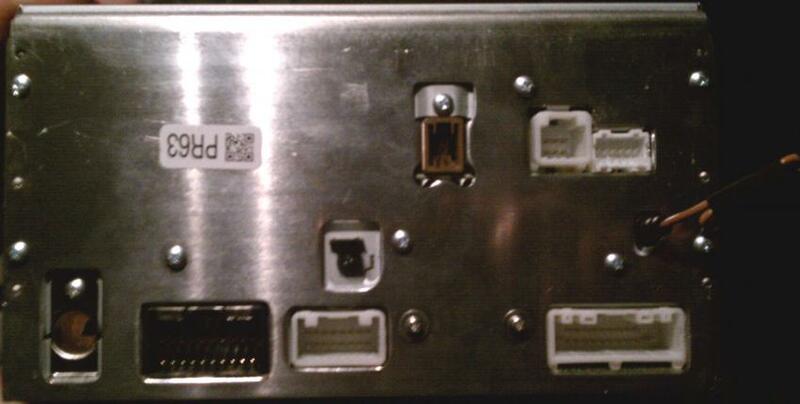 The pin-out for the camera socket matches what muzza found. Additionally, it shows that the HU provides +6V to power the camera on pin 3 (and does that only when the HU sees the reverse gear signal). 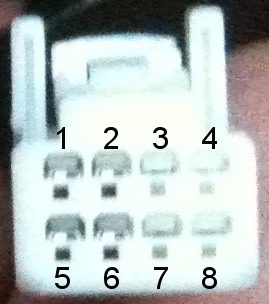 It also shows pin 7 is a ground for the camera power (not used by the OEM camera). I recently helped a 2011 STI owner switch from the OEM Kenwood Navi to an aftermarket HU. I measured +6V on pin 3 on the HU's camera socket. A 2012 owner opened up his CM631UD (which is similar to the CP635U1). The PC board has labels on the 8-pin camera socket that match the above pin-out table (including +6V for power to the camera). Awhile back, JoeySTi measured +6V on pin 3 when the car was in reverse. That would seem to validate the above pin-out. However, he found odd readings on the other pins (for example, +25V on pin 6). It's possible he was using an auto-ranging meter and didn't realize it had changed to a lower scale. silencery measured +2.85V on pin 6. That matches the voltage I've seen on the detect line for the aux input, so that seems to confirm pin 6 is a camera detect input. 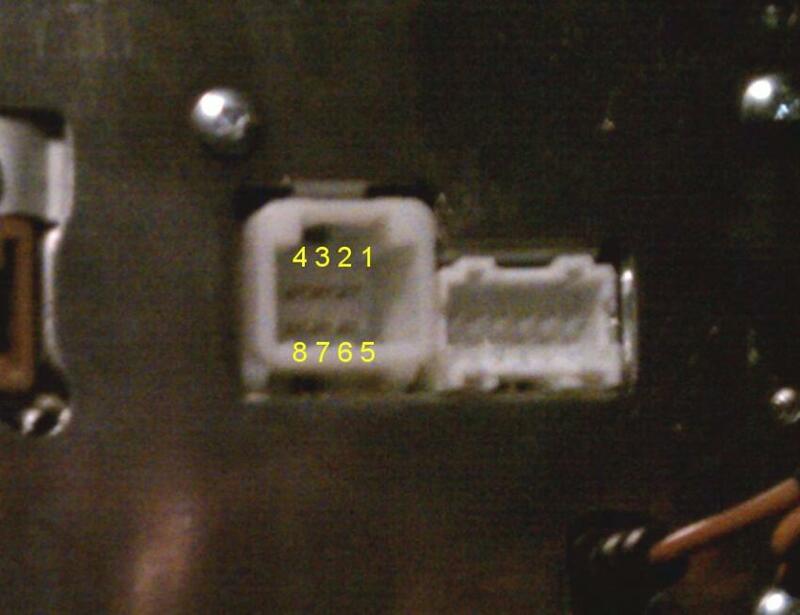 He didn't see a voltage on pin 3.
scarecrow93 also saw than pin 5 is tied to the HU's chassis ground. That confirms that the video signal is standard composite. (other information someone sent me had suggested the video signal might be balanced / differential, but I doubt that's the case). Last edited by SVXdc; 04-05-2013 at 05:49 PM.